Public MRI scanner: state and politics What if you found out that Russia's population is regularly exposed to atomicbombings? No, it's not about nuclear testing somewhere in the remote steppes ofour vast country. What if you learned that people actually voluntarily come to thearea of radiation but still paying for her visit? Say that this is from the category of science fiction? Maybe! But probably not! Public MRI scanner: equipment and methods The development of magnetic imaging is very similar to the history of computer technology. In 1949, the magazine «Popular Mechanics», wrote: "In the futurecomputers will weigh no more than 1.5 tons." And in 1981, the same Bill Gatessaid: "The 640KB of RAM should be enough for each computer." In the current understanding magnetic scanner - an expensive, bulky, heavy and very complicated machine, which controls only the "geniuses" and allow her to be his only major medical centers. It will be forever or something else? Or, as computers become MRI scanner smaller, lighter, more comfortable and will be available in every small hospital, it is now available to every computer housewife? Who can determine the future of scanners? Physicists, mathematicians, engineers, computer programmers. And how?.. 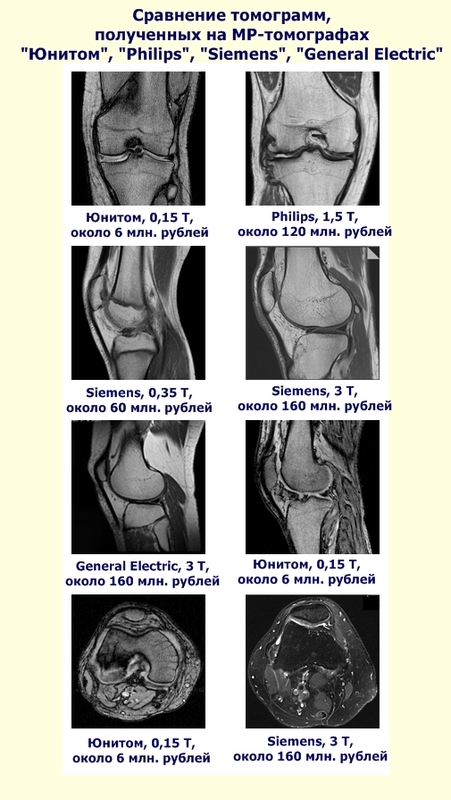 What is tomograms (MRI images) and how to understand them? 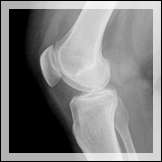 Computer tomography (CT) MRI is able to dramatically undermine the health of citizens. Russia needs a harmless magnetic MRI scan! Awaiting us is a "bright future"? How to trick computer scanner? A magnetic resonance imaging, available in any remote region, every Russian and any income - Public MRI scanner "Unitom"! Preparing mass production of devices. 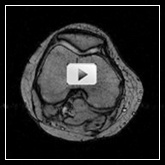 MRI - one of the most innovative and effective in the diagnosis of medical devices. With it, identifies hundreds of diseases, including early. The whole world has long recognized its numerous advantages over X-ray apparatus. But what we see in Russia? Millions of people exposed to the X-ray during the survey. Equipment, invented in the nineteenth century, can be found in virtually every district hospital in Russia, while the innovative magnetic resonance scanners in our country only about 450 pieces. With a population of nearly 150 million people. If you consider that all Russians must pass medical examinations at least once every two years, CT scanners in Russia, the most common estimates, should be at least 10000 pieces. Make MRIs available for each district hospital in every distant corner of Russia - it is possible today. But not through the purchase of vehicles abroad at fantastic prices. "Screwdriver assembly" of foreign counterparts - not a solution either. On this did not have enough funds or technology to solve the problem of global scale. The organization of mass production of affordable home scanners, scanners that is the People in Russia - that's the problem. What, then, should these new devices? First of all, it should be imagers that can afford to establish not only the regional and provincial centers, but also small local clinics. In fact, the scanner must be accessible to the population of Russia as a normal x-ray machine. It will raise the early diagnosis of disease to a new level, and mortality from disease is significantly reduced. This Public MRI scanner Group of Companies was created by experts, "Control" and named "Unitom." Overall, this is the result of 30 years of research in the field of magnetic imaging. A number of original technical solutions protected by 16 patents. The world's first fully digital magnetic scanner . Suffice it to say that in a second measurement is recorded and processed one billion bits of data in real time. The use of the latest technological advances brought results: obtained image quality is not worse than on costly foreign imagers . Prices of the last times and reach 160 million rubles. The problem of high prices has become known throughout the country thanks to the president's robust language. This high field magnetic scanner requires a lot of money for their upkeep. Liquid nitrogen and liquid helium needed to operate the scanners using superconducting magnets, virtually inaccessible in remote regions of Russia. Requires a separate discussion of these extremely high energy CT scanners - 60-100 kVA. Public MRI scanner - scanner "Unitom" - no need for expensive cryogenic materials for his service . He is the most "green" scanner: its power consumption compared to foreign energy high field scanners below 100 (!!!) times. So, scanner can be powered by solar panels, even ! The size of the room where you can set the "Unitom", a fraction of the size of the room required for the traditional foreign MRI. Also, thanks to the many innovative solutions, Public MRI scanner is only 6 million rubles . If we imagine an analogy from the world of cars, our scanner would be a machine worth 10,000 rubles, and consumes 1,000 kilometers a liter of gasoline. This can really surprise the world. Detector "Unitom" has successfully passed the clinical and technical tests, has all the necessary permits, has more than one hundred patients in real practice. received 30 000 tomograms . Numerous advantages of the scanner "Unitom" to foreign analogues confirm eminent scientists, doctors, including SB RAS, MSU, MIPT . Applications for the purchase of the imager "Unitom" are derived from more than 40 countries are negotiating co-production with the Public MRI scanner National Research Council of Canada. Management of our state is looking for projects throughout the country, which could lead Russia to a new level of innovation, as well as create thousands of new jobs in high technology. Here is an example of such a project. The biggest innovation risks we took for himself scanner has been created without the involvement of the budget. Nevertheless, the State constantly spending money to buy scanners abroad, and not to similar projects. Thus, in essence, virtually closing the market for Russian producers. In turn, it is obvious social project. Mass production of high-tech medical equipment in Russia - this is the problem of national significance. However, it is possible to establish a production and, without government support. The only question is when and in what country? On the basis of "Unitom" we propose to begin mass production of the Public MRI scanner. 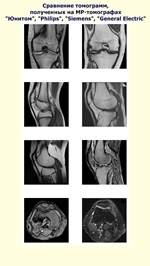 To achieve this goal and created an open source project "Public MRI scanner." The project is open, as it involves the creation of productive cooperation, which can take part in almost every. Mass production scanners People will be done by SKD domestic production of components built by Russian companies. In this case, in accordance with which we developed the technology unit will be collected directly at the place designated by the customer. This will involve the production facilities across the country. In other words, the organization, participating in co-operation to establish the Public MRI scanner will be mass-produce some portion of the apparatus. For this she receives the right to produce a certain amount of self-scanners, of the components of vehicles made by other organizations. Thus, each of the companies involved in co-operation, would be interested in the quality and timely delivery of equipment for the project . If the same firm involved in the project will need to release more CT scanners than is definitely mutual, it can make additional payments under the license agreement and will be able to put on the market as many vehicles as necessary. At the same time MRI scanner in the end need not be identical. Site Administration unitom . ru . There is a well-established view that now in Russia is nothing new in the art can be done. How do you feel about that? Yes, this belief is. But not for the fact that it is correct. It is very difficult to do, but possible. Take our scanner. Many also did not believe in creating it. There is no government funding we have received. But today the scanner already exists and has more than one hundred patients. It should be noted, we did not want to cry about this achievement until you went all the way from idea to put it into practice - that is, until real Clinical operating system. And what we see now? Image obtained by MRI scanner "Unitom", which should become the prototype of the Public MRI scanner, it is not worse than the images obtained by MRI promoted foreign production. Why do I need to produce new scanners in Russia? After MRI scanner screening already exist. Maybe we should think about buying, say, Chinese scanners or CT scanners were in use in other countries? By and large, that's now coming in, but this does not solve the problem. If the scanners to Russia should be about 10-20 thousand, you can imagine how much budget money has to go abroad. Yes, and you find so many used scanners? And how much will it cost them support from foreign experts? Russian serial production scanners in our country, and this is our main goal, would, among other things, to create thousands of new jobs in high technology. This is what we call our President and the Prime Minister. But without state support for one company or even a group of companies the task of this magnitude does not pull. How much should cost scanner ???!!! 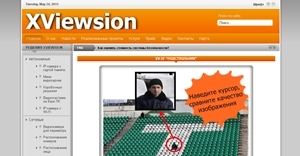 Onishchenko warns: X-rays are very harmful to your health! One survey in the X-ray machine gives you a charge of radiation, what would you have, being 2.4 km from Hiroshima in 1945. Than to replace it? How long does it take an MRI? 30 to 60 minutes.